Volume 9 of the latest ‘A Disco Love Affair’ pays homage to the long-standing love affair between dance music and disco. Kindred spirits, they have kept the sparks of the underground alive through almost five decades. 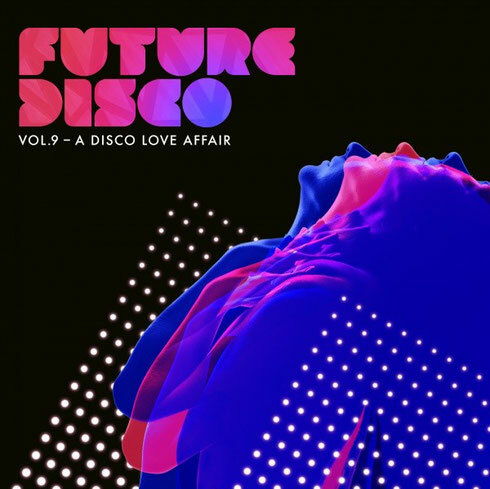 Released on Valentine’s Day, Future Disco’s latest edition honours seven years and nine episodes experience exploring the limits of what defines the genre and how it exists in the present moment. The opening moments capture a snippet of Nicky Siano, the original resident at New York’s Studio 54 who went on to create The Gallery, a successor to David Mancuso’s Loft series of parties. This bow to humble beginnings, when disco shaped the birth of electronic music in the ‘80s, paints a framework for the producers of today who are still using disco as their foundation. Here Future Disco do what they do best and select the freshest talents, from Fatima Yamaha, I Robots and HNNY, who each shaped the musical landscape of 2015, to prevailing remixers Joshua James and Tuff City Kids. The resurrection of some of disco’s original pioneers, New Order is celebrated alongside unreleased material from Hess Is More, Boxed In, Needwant imprint’s own talent Ashworth, and an original Future Disco edit from Flash Atkins, all packaged within a mixed and unmixed version.